Last New Year’s Eve, my family sat down and came up with a bunch of ‘Bucket List’ items. Things we’d like to do in 2012, as well as bigger goals that we’d like to do – some day. 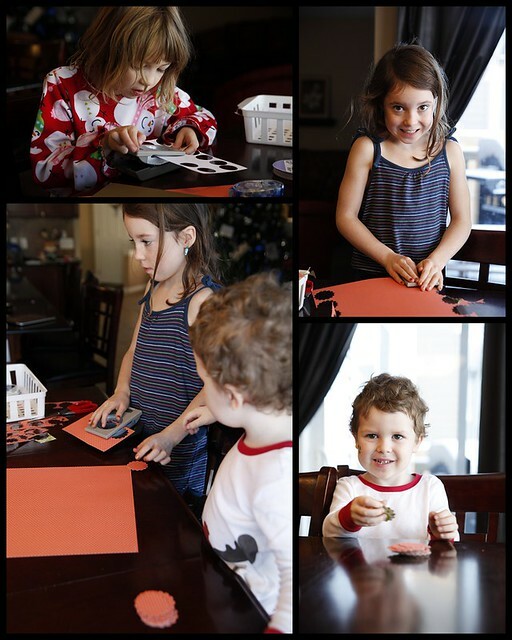 We are big believers in the Law of Attraction, and I’ve always kept a Vision Board, and this was a great way to get the kids involved. We crafted up some tags, and hung them on some branches and stuck them in a bucket. Voila! Our ‘Bucket List Tree’ was created. Did it work? 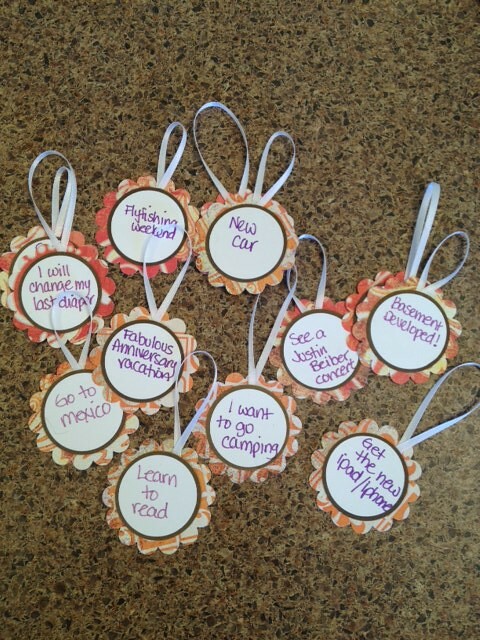 We took 14 tags off the tree this year – we accomplished 14/16 of the things we wanted to in 2012. We missed out on Mike’s Brewery Tour that we wanted to do, and I didn’t lose the 20lbs I wanted to lose (ugh). Those things will remain on the tree, along with the bigger things, like ‘Go to an American Girl Doll Store’, ‘Go to New York’, ‘Buy a 4 Bedroom House’ – things that we want to do, but don’t have to be right away. The kids and I sat down this morning to make our tags for 2013’s items, which we’ll write out tomorrow night, New Year’s Eve, after our ‘Fun-do’ (fondue) dinner. This year, we are also going to do a ‘Grateful Jar’. A big jar (or box, or vase – haven’t figured the details out yet) where we will stick the things we are grateful for – written on strips of paper, as they happen, throughout the year. Then next New Year’s Eve, we will pull them out and read them. 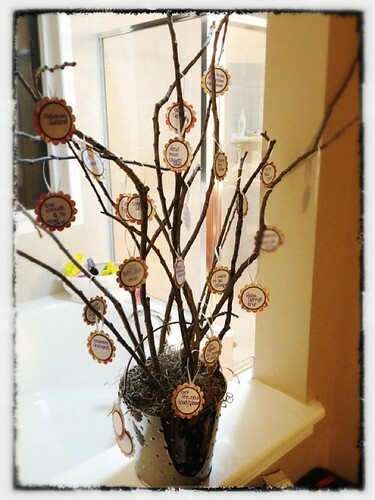 I think it’s a good balance to the Bucket List Tree – where we want, want, want. The jar is where we will record our Gratitude. I’d love to see what you do with your family to help you achieve your goals or teach gratitude!